Already own a home in the Old Daphne subdivision? Thinking of selling? Click here and read about current search trends & our web network. Walking Distance to Mobile Bay, restaurants, and public parks. A number of restaurants are located in Old Daphne including local favorites - Guido's, Cousin Vinny's, Eastern Shore Cafe, and Whit's Frozen Custard. 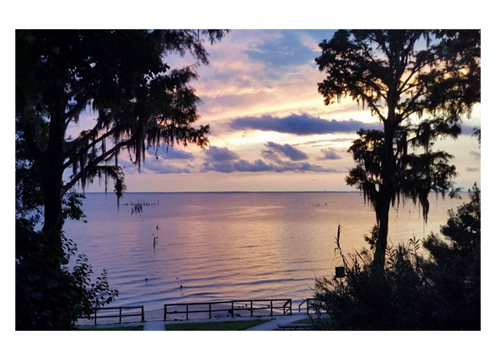 Families can easy walk or drive down to several bayfront parks and watch the spectacular sunsets over Mobile Bay. Subdivisions in Old Daphne include Potter's Mill, Polo Trace, Trace Crossing, Laurel Place, Durnford Hill, St. Charles Place, Bay Hill, & Harbor Place. Daphne is known as the "Jubilee City" because of its occasional jubilees on Mobile Bay. This amazing natural phenomenon occurs when bottom-dwelling fish and crustaceans are deprived of oxygen forcing the sea creatures to move toward shallow waters along the shoreline. Their oxygen-deprived state allows for easy catching. The Eastern Shore is the only documented place in the world where jubilees happen frequently, primarily in the summer months. If you would like to schedule a private viewing, need more info or have questions concerning Old Daphne or any other property, please email info@condoinvestment.com or call 251.978.3718 for immediate assistance. info@condoinvestment.com or call 251.978.3718 for immediate assistance. Old Daphne is a short distance from the interstate making travel to Mobile and the downtown district fairly quick. Alabama's famed beaches are one hour away from the community of Old Daphne. Visit our Gulf Shores condos, to learn more about Gulf Shores real estate, we offer detailed information such as recently sold condos with actual sold prices and closed dates to help buyers determine value and make the most out of investments. We make it easy for users to browse properties in the Gulf Coast region with pre-defined search options, filters, aerial imagery, and map searches. The past several years has shown a significant increase in new beach developments on the Alabama coastline and the Florida Panhandle; visit our pre-construction condos page to view more information on these new projects.